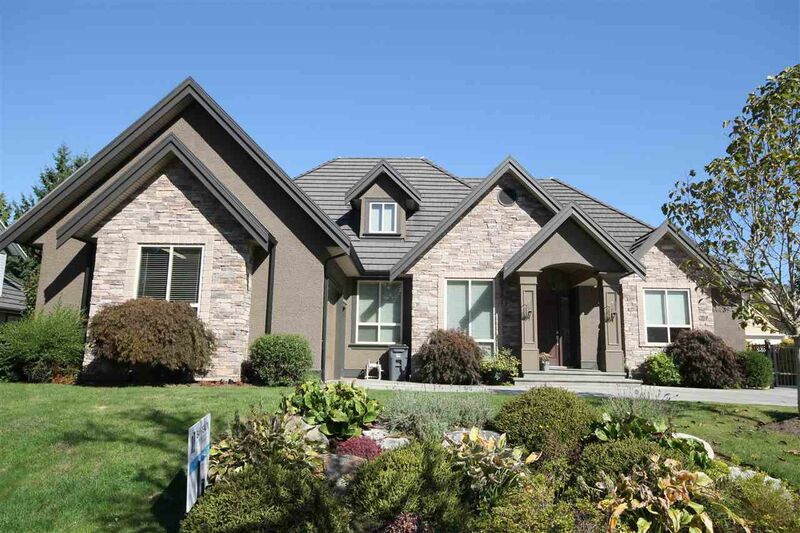 Gorgeous custom built home in a very desirable neighbourhood in Elgin. This rancher was thoughtfully designed with a wonderful great room, a stunning designer kitchen with top of line stainless appliances, heated granite counters with acce ss to the beautifully landscaped backyard with patios. Many additional features including - heat pump A/C, travertine tiles, wine room, stamped concrete decks and driveways, RV parking & hook-up, electric security gate as well as a heated detached workshop with double garage. Ideal home for teenager wanting their own space, extended family or home office/studio!